I have 2 above mentioned Utrics that I am looking to ID. One is U. Livida (auto correct wont stop the capitalization) and the other I am not sure. The flower on one is 1/2 the size of the other. Last edited by ShoalCreek; 04-06-2019 at 02:08 PM. Last edited by ShoalCreek; 04-06-2019 at 02:07 PM. The weed in the first picture may be Irish moss, an invasive little plant most people have as groundcovers in moist dark corners of their yard. 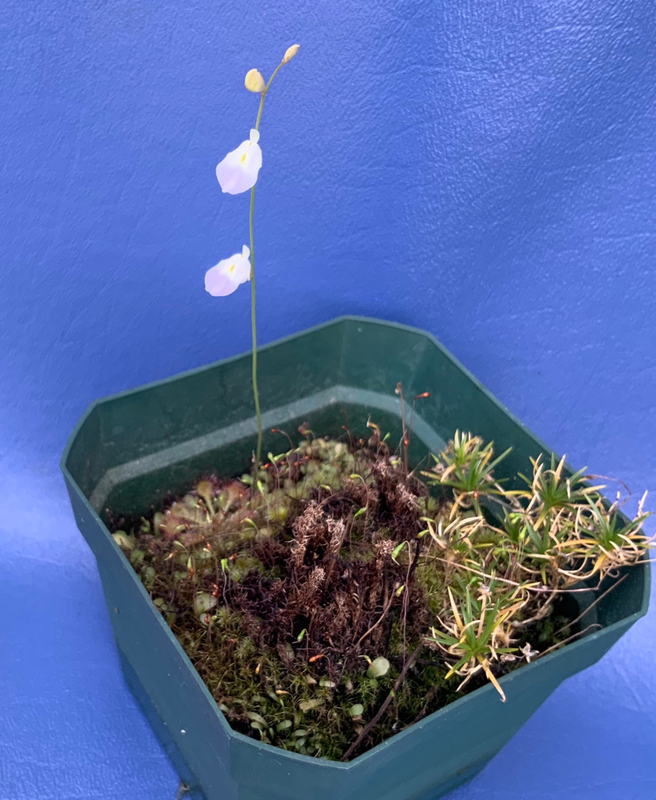 The Utricularia in the second photo (you can post more than one photo in a post, by the way, to avoid risk of confusion) that is coming up between what I assume may be Stylidium is the also common and weedy U. bisquamata. Found it. U bisquamata. Apparently it rode in on something else I purchased. I'm working on removing plants that do not belong in each pot.